During 2018, 30 journalists have been murdered in the Americas, 20 of them just between April and October. This was one of the conclusions of the 74th General Assembly of the Inter-American Press Association (IAPA), held Oct. 19-22 in Salta, Argentina. The countries with murdered journalists were Ecuador (3), Mexico (11), Brazil (4), Colombia (2), Nicaragua (1), Guatemala (2) and the United States (7). According to the IAPA, threats, aggressions and deaths against journalists have not diminished, but are increasing with respect to previous years. Regarding the deaths of the last six months, the organization pointed out that the murdered journalists were young professionals who carried out tasks of great value for their respective communities. Several journalists from Argentina, Brazil, Canada, Costa Rica, Cuba, Guatemala, Nicaragua, Venezuela and Peru have suffered violent attacks, abduction attempts and assaults, according to the IAPA. The organization denounced that the lack of protection for journalists and the slow reaction of the authorities toward these events gives the appearance of being permissive toward the attackers. Regarding official advertising in private media, the organization indicated its purchasing remains arbitrary or confusing, especially in Bolivia, Chile, Guatemala and Honduras. Among other measures that affect journalism, the association warned of the insistence in countries such as the Dominican Republic and Colombia for journalists to be registered. It also noted that in Chile, Costa Rica, El Salvador, Guatemala, Honduras, Panama, Paraguay and the Dominican Republic, bills are being discussed that would create a series of obstacles to the practice of journalism. Finally, it pointed out that in Cuba, Venezuela and Nicaragua the independent press continue to face challenges of all kinds. They include lack of paper to print, electric power and qualified personnel in addition to the hostility of their own governments against their companies and workers. 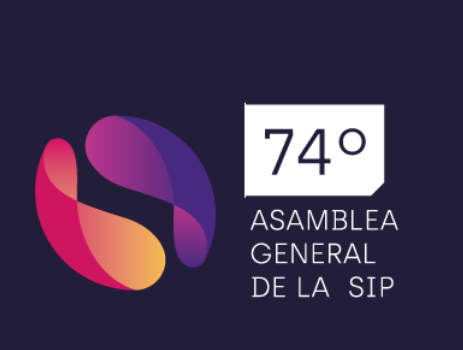 The 74th General Assembly of the IAPA had the framework theme "The future of interactive technology and its impact on social evolution.” One of its main achievements was the approval of the Declaration of Salta on the principles of freedom of expression in the digital era. With 13 points, the declaration establishes the premises and restrictions for using digital media with the aim of safeguarding freedom of expression. The document is addressed to governments, administrative institutions, media and technology intermediaries. The Assembly also approved a resolution regarding attacks on social media, which are being used as weapons of defamation against journalists and as disinformation tools.